TEAM Newburgh hosted their seventh annual fishing trip to Lake Washington on Thursday, July 23, 2015. 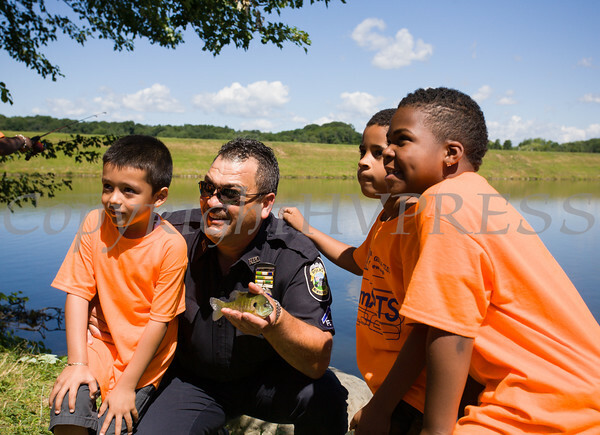 City of Newburgh Police Officer D'Elicio with children he assisted with catching a Sunfish during TEAM Newburgh's seventh annual fishing trip to Lake Washington on Thursday, July 23, 2015. Hudson Valley Press/CHUCK STEWART, JR.